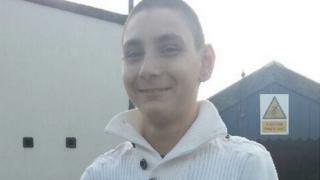 A council has pleaded guilty to a health and safety failing after the death of a 15-year-old boy who was hit by a school minibus. Ashley Talbot died in December 2014 following the incident in the grounds of Maesteg Comprehensive School. The teacher who drove the minibus was not prosecuted but the Health and Safety Executive brought a case against Bridgend council. The council pleaded guilty to a health and safety breach. The council pleaded guilty at Cwmbran Magistrates' Court on Tuesday, with the starting point for any potential fine £2.4m. The case was sent to Newport Crown Court with a hearing set for 17 September.